Children as young as 9 years old are being admitted to hospital with severe disorders caused by cannabis. Many children believe the drug is safer than alcohol, as well as being easier to get, because they don’t need ID to buy it. However, cannabis is linked to severe mental illnesses including psychosis, schizophrenia, bipolar disorder and anxiety attacks. Last year, 3414 patients under the age of 19 went to hospital due to mental and behavioural illnesses brought on by cannabis. This included two children aged nine or under. NHS figures show that the number of admissions has risen by 38% since 2013/2014, and by 10% in the past year alone. The concern is that these figures underestimate the scale of the problem because they only count those patients who were so unwell, they were admitted on to a ward or specialist unit. The revelations came as evidence mounts over the harm caused by potent ‘skunk-like’ cannabis that is widely available in the UK. 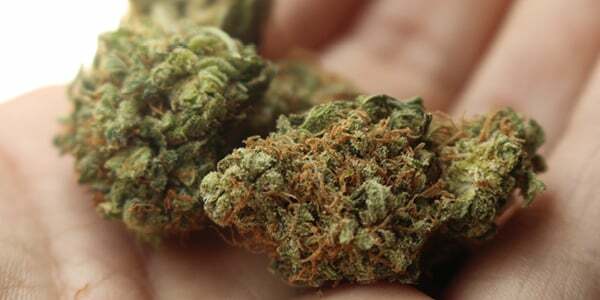 A study, reported in the Lancet Psychiatry journal, showed that people who used cannabis on a daily basis were three times more likely to have a diagnosis of first episode psychosis, compared with people who had never used cannabis. This increased to five times more likely for daily use of high potency cannabis. Another study by Oxford University has shown that cannabis increases the risk of depression in teenagers by 37%. The purchase of cannabis has become more accessible through social media sites. Dealers are openly advertising and many display photos of cannabis bagged up and ready to post. A study by the International Journal of Drug Policy showed that Snapchat was used by 76% of those surveyed for accessing illegal drugs, 22% used Instagram, 11% used WhatsApp, and 10% used Facebook or Facebook Messenger. Following the Home Office’s legalisation of cannabis for medicinal use, young people may be getting the message that cannabis is benign and harmless. However, the drug is a dangerous, damaging intoxicant that has a profound effect on the structure and function of the brain, particularly in developing brains. A long-running debate continues over whether the UK should legalise cannabis for recreational use, following Canada and some US states. Cannabis is highly detectable and can be found in urine, saliva, hair as well as nail clipping samples. The tests available to determine cannabis use vary in their windows of detection so recent or chronic use can be established. In addition, ingestion as opposed to environmental exposure can be discerned. For information on any of AlphaBiolabs’ drug testing solutions, including our home drug testing kit, please call 0333 600 1300 or email us at info@alphabiolabs.com.